A poster of Samantha and Darrin Stephens home floor plan makes a great gift! If I were Samantha Stephens would have been able to twitch my nose and have this floorplan appear. 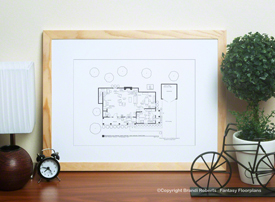 My fictional floor plan for Bewitched makes a great Bewitched gift! America's favorite witch from Bewitched is living the dream in the sitcom suburbs in an adorable two story home. 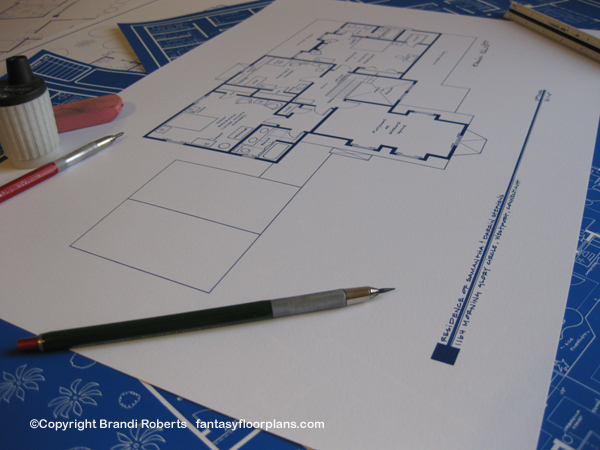 This is the second story floorplan and features three bedrooms, two full baths and a playroom. Darrin and Samantha enjoy a large master suite with a fireplace a large windows. They also have a large master bath and walk-in closet. Down the hall you'll find Tabitha's nursery, a guest bedroom (later Adam's nursery) and a full bath. 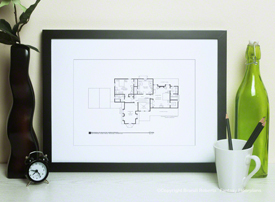 There's also a small spare room which could be used for storage or a playroom. Don't forget about the first floor -- you can find Samantha and Darrin Stephens's first floor plan here. Twitch your nose and together you have a match set! A perfect way to spark dialogue on your home or office walls! 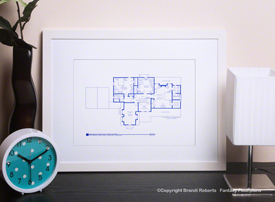 My floor plan is the ultimate Bewitched gift!